Two recognized thought leaders in innovation management and strategy –– Satish Nambisan and Mohanbir Sawhney have collaborated on an intriguing treatise that attempts to resuscitate the innovation imperative. The Global Brain makes a compelling case that creativity requires a diverse mix of talent and expertise applied in a collaborative and open environment. Historically, innovation has been confined within the four walls of a company where researchers toiled in relative secrecy to create the next big thing. Not only is this formula no longer viable in today’s environment of shorter product life cycles and accelerated competition, it is a prescription for disaster. While innovation initiatives at a number of high-profile companies have stagnated, the innovation crisis is not limited to a few large companies. Indeed companies large and small across a wide range of industries are facing similar creative challenges. Two recognized thought leaders in innovation management and strategy –– Satish Nambisan, a professor of technology management and strategy at the Lally School of Management at Rensselaer Polytechnic Institute, and Mohanbir Sawhney, the McCormick Tribune Professor of Technology and the Director of the Center for Research in Technology and Innovation at the Kellogg School of Management at Northwestern University –– have collaborated on an intriguing treatise that attempts to resuscitate the innovation imperative. 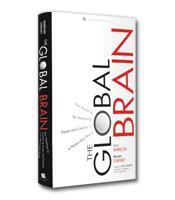 The Global Brain: Your Roadmap for Innovating Faster and Smarter in a Networked World makes a compelling case that creativity requires a diverse mix of talent and expertise applied in a collaborative and open environment. But Nambisan and Sawhney are not naive enough to posit that opening the creative floodgates will release the desired torrents of rich new perspectives and diverse influences. Instead, they trace the innovation learning curve through the experiences of a number of companies including Staples, IBM, Boeing and Apple to reveal the strategic value of reaching out to customers, suppliers, amateur inventors, researchers and a variety of other external entities that constitute the Global Brain. In so doing, the authors avoid the prescriptive, one-size-fits-all mentality that undermines many similar academic business tomes. By providing in-depth analysis of a variety of strategies, they provide actionable information that companies can use to devise creative solutions. A case in point is the Human Genome Project (HGP), the international research initiative that aimed to identify and sequence some 25,000 genes that make up human DNA. The effort unleashed the creative power of networked communities and pooled resources to produce extraordinary results. Likewise they delve into the relationship that Ducati Motor, the Italian motorcycle company, has built with customers to foster a sense of community that complements the product. And they take us behind the scenes at Staples, which holds an idea contest called Invention Quest, where individual inventors are invited to submit their ideas and winning ideas are commercialized. By providing a structure that can be used to evaluate and prepare organizational capabilities and resources, Nambisan and Sawhney go beyond descriptions of innovation systems to elaborate on how firms can position themselves to tap into the Global Brain. They provide an insightful roadmap on how best to structure emerging network-centric innovation in terms of governance (to ensure common patterns of behavior among members and coordinate information sharing), knowledge management (to facilitate the generation, codification and utilization of knowledge in the network) and intellectual property (to enable innovators to control the use of their innovation and its derivatives). The authors successfully bridge the gap between the art and science of innovation while at the same time translating the theory into practical application through the use of colorful imagery that makes the book as illuminating as it is memorable.